How many times have you gotten paid for your writing? 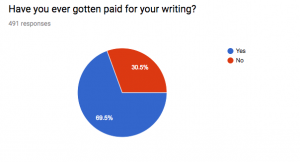 If you’re like the 30.5% of writers we surveyed, you haven’t even gotten paid once. That’s a big problem. You can’t pay your bills with free work, even if that means an article in the Huffington Post, Forbes, or any other giant publication. You need (and deserve) work that pays well. Unfortunately, unpaid work is extremely common. 54.3% of our survey respondents said that they have had more unpaid work than paid work. It’s so common that a false narrative has developed around it. Freelance writers are often taught that they have to take on unpaid work at first in order to build a portfolio. You’ve probably heard this before. The idea is that you climb the ladder much like you would in a corporate job, starting out as an unpaid intern and working your way up to a paid employee. However, it doesn’t always work like that. Many writers struggle just to find unpaid writing opportunities in the first place. So how can a writer ever get paid? You’re about to find out. There are two main reasons why freelance writers don’t get paid. The first reason is not knowing where to get paid. Many of our survey respondents said they couldn’t find anywhere to pay them well for their work. Content mills are a popular option for getting paid as a writer, but they don’t pay well at all (often less than 1¢ per word) and have no flexibility. But sadly, most writers don’t know where else to look. 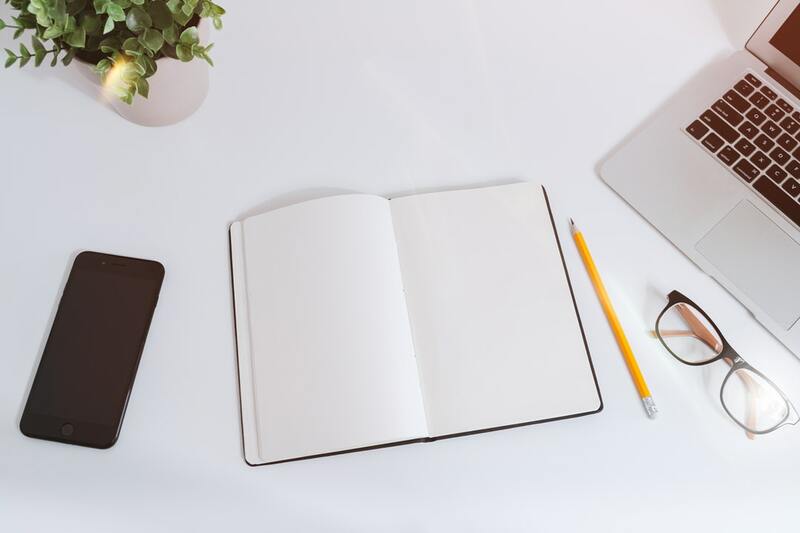 Content mills like Textbroker and freelancing platforms like Upwork have taken over the industry to the point where writers are lost without them. There are alternatives (more on that in a second), but they’re often called unreliable because they don’t offer daily work like mills do. Many writers don’t even know about these alternatives. The second reason is thinking paid work is impossible to get. Because high-paying work is hard to find for so many writers, it’s considered a pipe dream. Many writers believe that paid work takes a long time to get or that it’s reserved for the upper echelons of writers. As a result, writers don’t actively seek paying work. The lack of knowledge of where to look makes them give up. Writers don’t give up because they’re lazy––they give up because they’ve tried and failed. They develop a mindset that unpaid work is just how it is and maybe someday it’ll pay off. Thankfully, it’s a lot easier than you might think to get works that pays you well. That’s not to say that you can get a $1/word job in the next five minutes. It will take some work, but the payoff is great. At Writing Launch, we value transparency and honesty, so we’re not going to sugarcoat things. The brutally honest truth about high-paying work is that it’s not always as consistent as mills or platforms. It certainly can be, but that’s not always the case. Of course, that doesn’t make it worse––you’re trading low pay and high consistency for higher pay but lower consistency. You might be getting daily work from a content mill, but does it pay well? Are you happy with your career and where it’s headed? Are you doing what you want? Many writers would say “no” to all of those questions. They’re looking for something better. If you want freelance writing work that pays well, you’ll have to consistently put time and effort into finding that work. You’ll have to spend time every day seeking out work, sending pitches, and contacting prospects. You’ll need to learn about selling what you do and crafting the right proposals. If you want to get the freelance writing jobs that you dream of, finding work will have to be part of your daily work routine. This is why many writers choose mills or platforms. They don’t know where to look, and they feel like they don’t have time. But even if you feel like you don’t have time to look for work, you do. 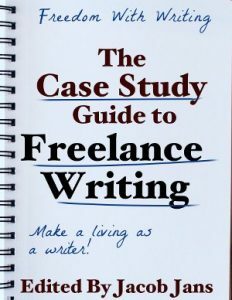 And even if you’ve never gotten paid for your freelance writing, you can. Without further ado, here’s exactly how you can start getting paid without content mills or freelancing platforms. Before you do anything else, you need to determine what your niche is and what your offer is. Let’s tackle each of those one by one. 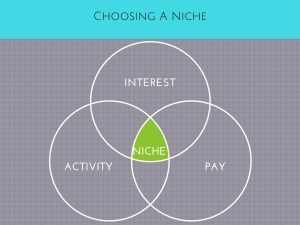 The ideal niche has three important characteristics: sufficient interest, activity, and pay. If you only use one or two of these factors to determine your niche, you won’t see the best results. For example, if you choose a niche just based on your interests, you could find out that there’s just no market for writing in that niche. Once you’ve settled on a niche, think about what you have to offer. In other words, consider why anyone should buy your writing. How will people benefit from your writing? Focusing on the benefits you provide will help you communicate your value better. It helps to create a value statement to better understand what you can provide. You need to be able to communicate your value before you look for work. It’s an important step that you can’t overlook. There are two basic methods of finding freelance work: searching and networking. Searching is exactly what it sounds like: looking for freelance writing jobs. This usually involves perusing online job boards. Networking is reaching out to people you know (or even strangers) to find work. Your coworker might know someone who needs writing done, or perhaps a friend of a friend needs web copy. Both of these techniques are good, but we’ll focus on searching. If you haven’t had success with getting paid for your writing, you might want to start here. Guest posting (i.e., writing articles for blogs as a guest author) is one of the easiest ways to get paid for your writing. You don’t need any experience to get started, and you can guest post in almost any niche you can think of. It’s a simple process. Find a blog that accepts guest posts, pitch an article, and get published and paid! It’s important to note that usually you shouldn’t send any work until after you get paid, but guest posting is the exception to that rule. You have to send the content in first, and then you get paid. We do recommend that you try to find blogs that initially ask for pitches and not entire articles. Also, be diligent in making sure the blog does indeed pay writers. 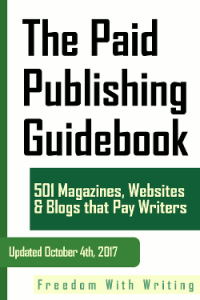 Who Pays Writers is a helpful resource for this. To help you get started, here’s a list of 50 blogs that accept guest posts. Still have questions? Check out our webinar on blog writing that’s almost an hour and a half long. This link aggregator site is an unlikely spot to find writing jobs, but it’s proven effective for many writers. It looks intimidating, but you get the hang of it rather quickly. Two communities within Reddit, /r/forhire and /r/hireawriter, are populated with job postings from individuals and companies who need writing done. If you’re interested in learning more about finding freelance writing jobs on Reddit, here’s a guide. There are many other job boards that can prove useful for freelance writers. Keep in mind that there’s a fair bit of spam on these boards, so you’ll need to navigate them carefully. Look for jobs in your niche, and make sure the payment information is specifically stated. Remember, never work without a contract, and never send any work until you get paid (unless you’re guest posting). Getting paid well for your work is completely possible. Content mills and freelancing platforms would like you to think that it’s not, but it is. You will have to actively look for work every day, and it might get discouraging from time to time. However, it gets much easier as time goes on, and you can set your own rates and make your own rules. If you’ve never gotten paid before, try out these techniques. And if you have any questions, don’t hesitate to ask in the comment section. Are you having trouble getting paid for your writing? Are you going to try any of these techniques? Let us know in the comments!